In all the hub-bub that followed yesterday’s National Prayer Breakfast, something very important was missed. And it shouldn’t have. Keynote speaker Darrell Waltrip, a NASCAR legend, spoke about his racing career and personal life, and how turning his life to Christ turned it all around for him. With a President of the United States who acts more like the cheer squad for the other team than a professed Christian, and the Dalai Lama mere feet away, the speech was gutsy, to say the least. And, then, he said it. 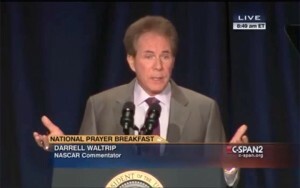 Waltrip is, today, well-known for his Christian faith. But, he wasn’t always that way. Much of his speech focused on “the difficult thing” of looking back on his life before he had accepted Christ. He shared the experience that changed his life forever: his wreck at the 1983 Daytona 500. It’s a message more Americans need to hear. 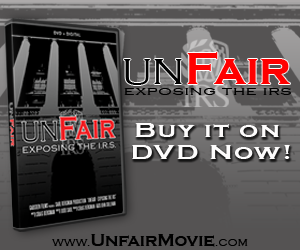 It’s unfortunate the ignorant comments from President Obama that followed have overshadowed it.